William Pearson ran a watch & jewelry business here from the late 1800s-early 1900s. His family lived in the back residence. The store then housed Italian grocery stores for about 20 years followed by a laundromat from the 1950s – 1990s. Mark your calendars for the DBA Annual Meeting on March 6 at 8 am. The meeting will take place at Pica’s with a fully catered breakfast by Three Leaf Catering. Come meet fellow DBA members and hear what we’ve got planned for this year. The meeting is open to DBA members only. 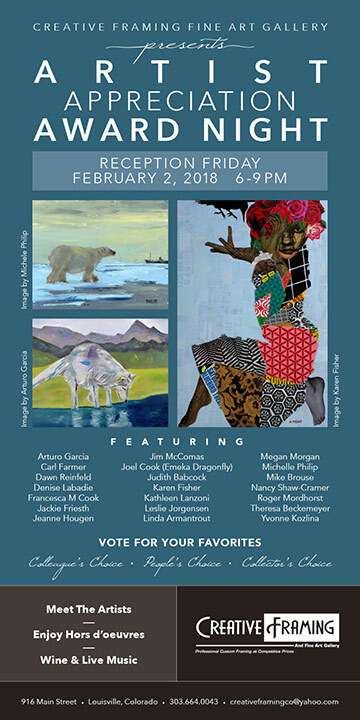 February is the gallery’s Artist Appreciation Month. They’ve invited 20 artists and artisans to display their work. Come early and vote for your favorite artist in the following categories: People’s Choice; Colleague’s Choice; Collector’s Choice. Enjoy hors d’oeuvres, music and meet the artists. Winners will be announced and awards will be presented on February 2nd, at 8:00 pm. There’s still time to sign up for this popular class! Come learn what all the buzz is about. Punch needle rug hooking is enjoying unprecedented interest. You will be creating a small punch needle piece using the Oxford Punch and hand dyed rug wool from StoryTeller Wool. All supplies included. Novice and beginner level. Cost is $25. What better way to show someone your love than to treat them to our indulgent “Traditional Afternoon Tea.” Complete with white linens, a tiered tray of sweet and savory goodies, and of course, a pot of premium tea. $22 per person. Reservations required. 303-666-8020. 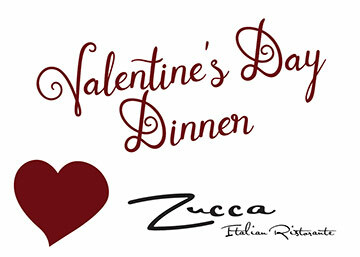 Take your sweetie to Zucca for a romantic, 4-course Prix Fixe Valentine’s Dinner. $50 per guest, with optional $20 wine pairing flight. Reservations highly recommended. 303-666-6499. 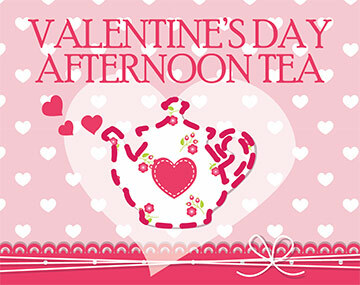 Here’s another sweet option for your special love. 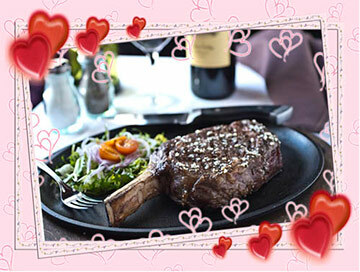 How about a Bone-In Prime Ribeye Dinner for 2? This succulent 22 oz. CAB steak is served with your choice of salad and potato for just $75. The restaurant will be offering this plus other 740 signature specials for an “All White Tablecloth” dining experience. Make your reservations today online at www.740front.com or call 720-519-1972. 740 Front is also participating in the upcoming 14th Annual Denver Restaurant Week February 23 – March 4, offering a special $35 price-fixed 3-course menu. This event is not to be missed and slots fill up fast. Give them a call to save your spot. 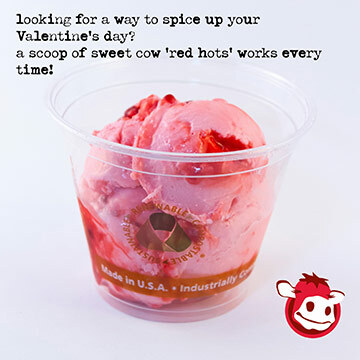 But for the ultimate in SWEETNESS, check out the flavor of the month, “red hots.” Its a special treat for that special someone on that special day and beyond! 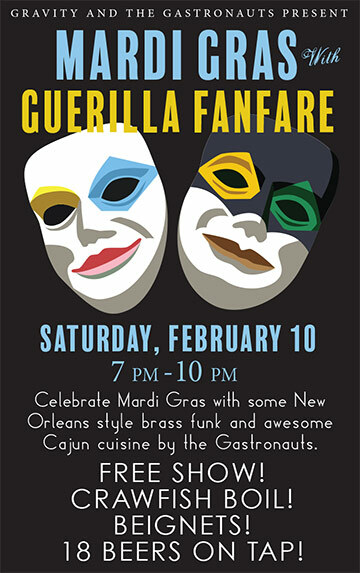 This Mardi Gras, Guerrilla Fanfare brings it to Gravity Brewing for another night of raucous, bumpin’, brassy funk! If you made it to last year’s party you know that Guerrilla Fanfare is not to be missed! And ITS FREE! 18 beers on tap, and a Crawfish Boil and Beignets from Gastronauts @ Gravity Brewing! Can’t beat that. The only band of its kind in the area, Guerrilla Fanfare Brass Band brings raw, rowdy, unadulterated, booty-shakin’ New Orleans style funk to Colorado. Their mission is to put the funk in your junk and get you up and moving to their grooves no matter the occasion. Local business author, Edgar Papke, will discuss why some organizations are more innovative than others and how we can tap into, empower, and leverage the natural innovation within organizations. Papke will draw from his newly released book, Innovation by Design: How Any Organization Can Leverage Design Thinking to Produce Change, Drive New Ideas, and Deliver Meaningful Solutions. 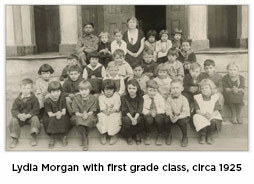 Lydia Morgan taught first grade to multiple generations of families in Louisville for 45 years, from about 1917 to 1962. An affordable senior housing development in Louisville was named for Lydia Morgan when it opened 20 years ago, but many in our community don’t know very much about her. Drop by the Historical Museum during the February Art Walk to learn more about Lydia Morgan’s life and times. Your resumé is your ticket in the door. This workshop will show you what you need to have a strong resumé to get noticed, stand out, and get to the next step in the selection process. Whether you need to update your current resumé or write one from scratch, Career coach Pam Farone from Careerfulness will focus on tried and true techniques to write a great resume, get you through the screening process and help you land that interview! Bring your laptop and come ready to write! Want to join the gig economy, turn a hobby into extra cash, or leave the cubicle to start your own business? Learn all the right steps and moves if you are considering a side job for extra income. Talk honestly about the opportunities and challenges of being your own boss and learn about the many resources available to help make the experience a smooth move. Presented by the Rocky Mountain Chapter of Credit Unions. Guilherme Zavaschi, LPC and Leah Kaplan, LPC of Boulder Psychological Services will present information to increase your understanding of why people use substances and its impact on treatment success.